As a rule I don't comment on people who have stayed with us. I think it's slightly rude. Although there are a handful of stories to be told about people who've done odd things to the place, the overwhelming majority of people are very clean, respectful and - ultimately - super super nice. And yet, some people's behaviour does make you scratch your head and wonder what they were thinking. For example, enough time has now passed for me to be able to tell you about one couple that left the apartment in a bit of a state (the vacuuming hadn't been done, the clear glass shower door was opaque, etc.). So far, nothing serious. That bathroom's a bi*** to clean and I can understand people finding it hard (although one lady made such an effort once, she even folded the end of the toilet roll into a triangle, like in those posh hotels!). Anyway, we don't need to know what you've been up to at the apartment, we just hope you have a great time. Paris is the city of love after all. However, above the bed, the couple in question had left two very obvious greasy handprints on the wall that spoke volumes. The hands were spread apart in a position as if one of them was being frisked. Only they very probably weren't. However, the next discovery a few minutes later surprised even me. While cleaning the shower, I realised that the cover on the water outlet had been lifted and not put back on properly. When I opened it, I found... the remains of a vegetable salad, including quite a lot of grated carrot. What were they thinking? I do tell people not to put anything down the toilet apart from toilet paper (explained here), but perhaps I should also be telling people that vegetables - even little chopped up bits of vegetables - are probably not the best thing to put down a shower. And also - in passing - that greasy handprints will leave indelible proof of nocturnal gymnastics? Anyway, don't worry: as I said, you can do what you like at the apartment as long we retrieve it in the same state as when you arrived. The funniest part was that a later e-mail from the couple said that they hoped they had cleaned the apartment OK. At the risk of seeming rude (but actually out of politeness) I preferred not to reply. 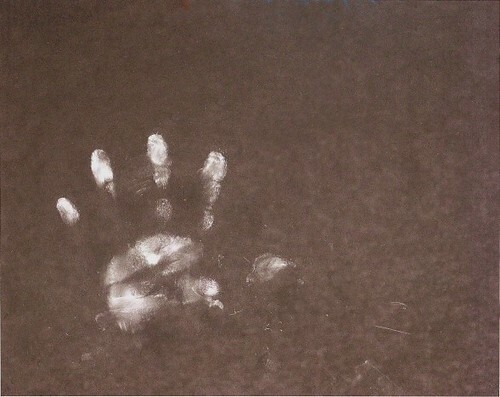 Photo of a greasy handprint by EraPhernalia Vintage. 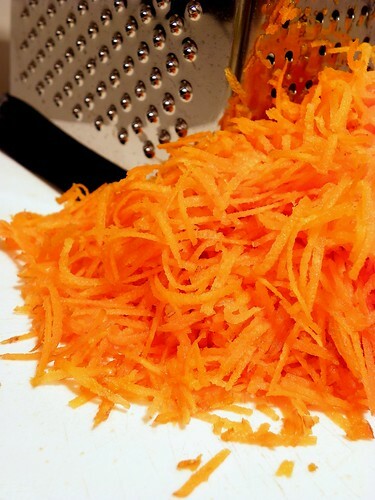 Grated carrot photo photo by dolmansaxlil. Both used under cc licence. The Great Apartment welcomes a sports star! Les mille feuilles. Not cake. Better.